With a large number of international schools and a state education growing in international reputation, families relocating to Russia have a range of options. We find out more from Intermark Relocation. Since the end of the Soviet period, Russia’s state-education system has been going from strength to strength, leading the global march in education attainment and boasting small class sizes.Although government investment in schools and education has grown in recent years, the percentage of expenditure per student remains lower than the Organisation for Economic Co-operation and Development (OECD) average.However, OECD reports that Russia is one of five BRICS countries with the highest proportion of students making “notable progress” in secondary-education attainment and over half of those aged 25–64 hold a tertiary degree, which is nearly 20 per cent above the OECD average.Its education system should therefore not be dismissed out of hand. How does the Russian education system work? Compulsory education in the Russian Federation starts at the age of seven. This is quite a lot later than in most other OECD countries. For example, children in England start primary school between the ages of four and five.After primary school, the Russian education system is broadly in line with the systems of other OECD countries. What is called ‘basic general’ education follows primary school at around the age of 11, and ‘secondary general’ (or vocational) education starts at about the age of 16.Younger children have the option of attending a state-funded kindergarten. 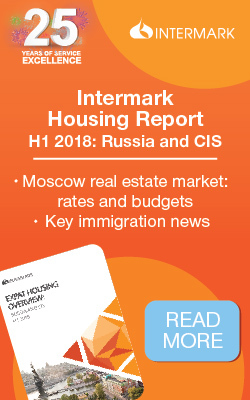 However, Moscow-based consultancy Intermark Relocation, a past winner of the Relocate award for Relocation Service Provider of the Year, says, admissions to state-run kindergartens are done through government committees, which are different for each Moscow district, and there is usually a waiting list, so the earlier families apply, the better.With younger children being so open to new experiences and able to learn new languages more quickly than adults, attending a local kindergarten can be a great way for them to integrate into their local community.“My two children have had a very happy time in the Russian nursery near to where we live,” says an Intermark Relocation client. “My youngest ‘graduates’ this summer, having spent four years in the nursery. They now eat all kinds of food, know how to dress for the cold Moscow winters, and are very polite to adults. Above all, they speak Russian without an accent.”In 2015, the Programme for International Student Assessment (PISA), which looks at the educational performance of 15-year-olds in OECD countries, reported that Russian students achieved mean scores above the OECD average in both reading and mathematics, but fell slightly below the OECD average in science.Despite a rise in the average size of primary-school classes between 2005 and 2015, class sizes in the Russian Federation remain below the OECD average in both primary and secondary schools with just 19 pupils per class and the education system boasts a pupil–teacher ratio of just 11:1. For more related news and features, visit our Education and Schools section. For those willing to immerse themselves in the Russian way of life, learn the language and integrate into their local community, a state school is worth considering. For those on shorter assignments, or with language restrictions, there are a healthy number of international schools to choose from. The country has 36 international schools, the majority of which are based in Moscow (13) and ten in St. Petersburg. Most international schools teach in the English language and offer learning programmes ranging from the English National Curriculum to the American Programme and the full International Baccalaureate Diploma Programme.Alongside the international schools in Moscow, there are 13 national schools which, in the majority of cases, are run by the embassies. Some national schools offer full educational programmes for children of all ages. Others offer native language studies and selected subjects on Saturdays or evenings and can be an addition to an international programme. Most international schools have kindergartens or nursery groups. In Moscow there are 24 international kindergartens following a variety of educational methods and teaching in different languages. Some popular kindergartens among expatriates are American Day-Care Centre and Pre-School, British Pre-School, Moscow Montessori Pre-school and English Nursery School. There are also many Russian kindergartens both private and state-run.Admissions to state-run kindergartens are done through government committees and there is usually a waiting list and so it is important to apply early in order to secure a place. If you are in Moscow for a long assignment and – especially if you are planning to live in the centre – it is worth considering this option.